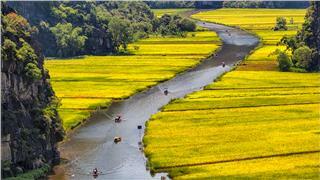 Xuan Huong Lake is a famous tourist attraction in Dalat. 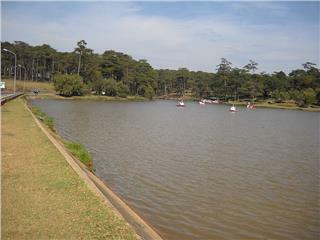 Situated in the center of Dalat city, it is an artificial lake with approximately 5 km2 circumference, and 25 ha wide. 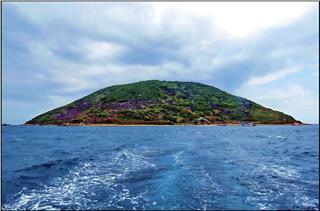 Xuan Huong Lake has long been famous for immerse pine forests, green lawns, and wonderful flower gardens. 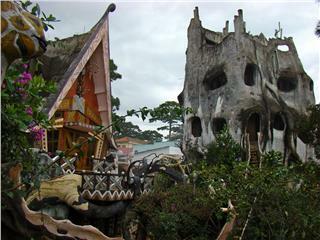 It is also a favorite rendezvous for tourists who love walking or using stagecoach to visit Dalat city. 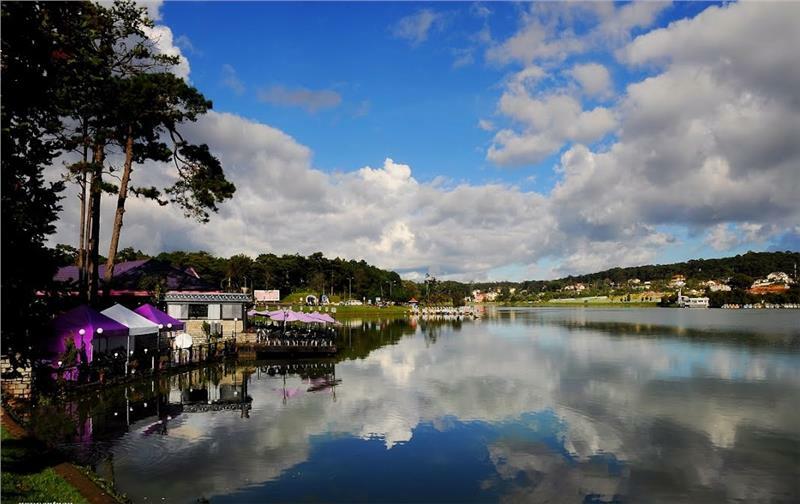 The crescent-moon-shaped lake covered an area of nearly 43ha, stretching around 7 km through numerous tourist attractions in Dalat City as Dalat Flower Park, Yersin Park, Cu Hill. 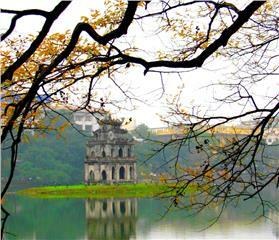 Xuan Huong Lake has been reputed to be a romantic place, a dreaming tourist attraction and a dating rendezvous of loving couples as well. 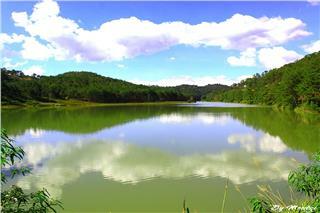 The surface of the lake is as smooth as crystal mirror reflecting the romantic scenery of Dalat city with pine forest. 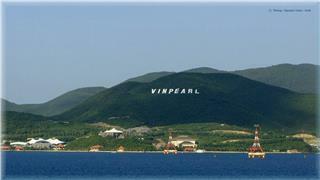 In addition, spruce-shaded roads much create dreamy beauty for the lake. 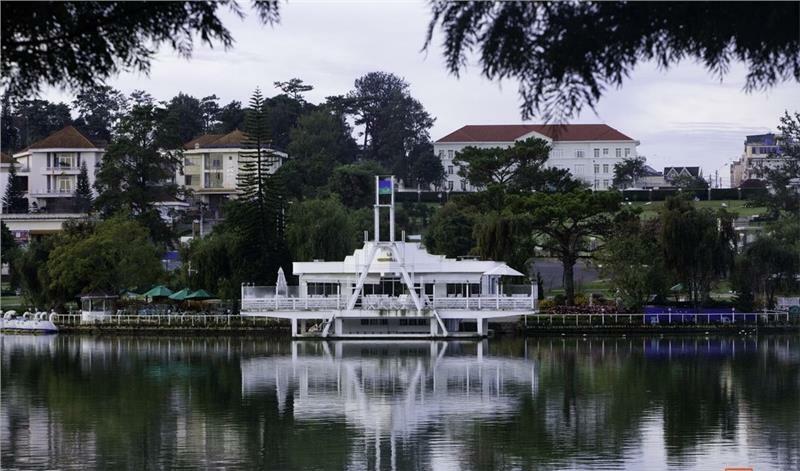 Tourists could comfortably lean their back on these spruces releasing hooks, contemplate breathtaking scenery on the lake with the swan boat ride, or set their foot on graceful Thuy Ta Pavilion with its unique architecture to enjoy the Dalat flavors. 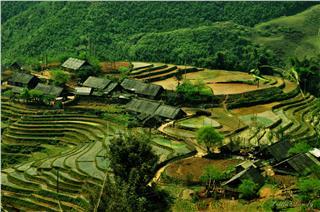 The French formerly named it Grand Lac, yet it has been renamed Xuan Huong Lake since 1953. From the name of Xuan Huong Lake, a beautifully charming name, it deserves to be a perfect mirror, beautifying the magnificent city. 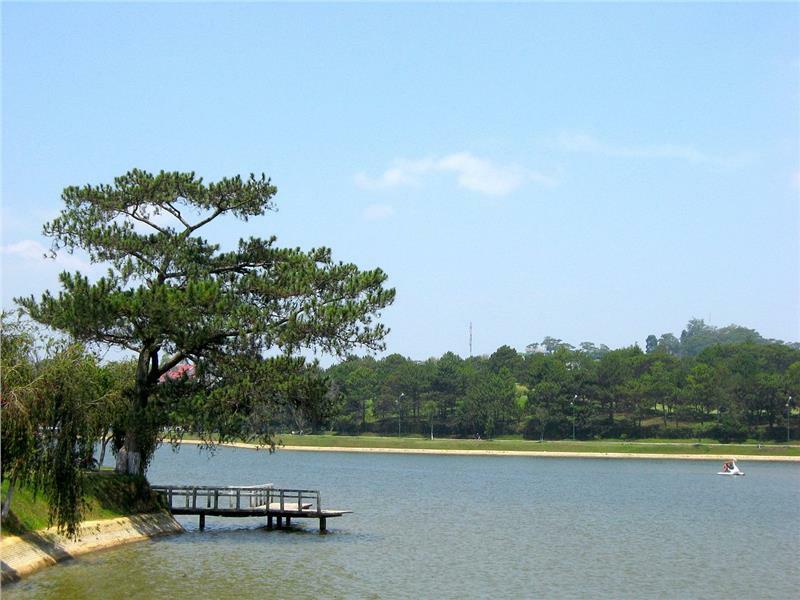 Xuan Huong Lake owns an average depth of 1.5m, at an altitude of 1,478m, and is the heart of Dalat city. 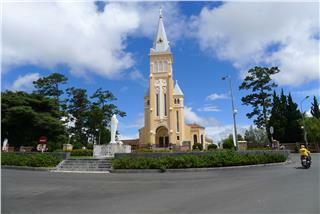 Thanhks its prime location of Xuan Huong Lake, Dalat is one of the few cities retaining the lake in the city center. 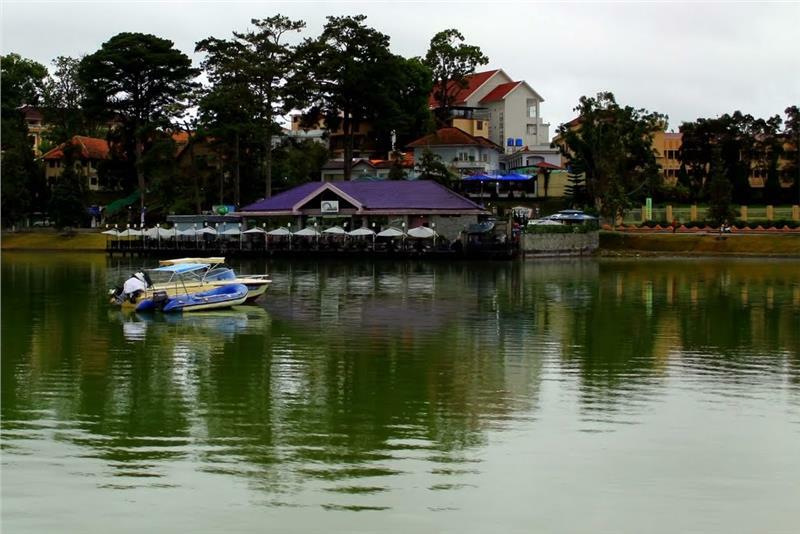 The unique characteristics have turned Xuan Huong Lake into a spectacular tourist attraction, creating attractive features for Da Lat tourism. 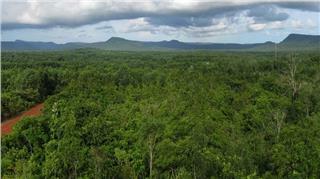 In the past, it used to be inherently a growing swamp to mat weaving and rice fields of Lach minority people close to Da Lach stream (the present called Camly stream). In 1919, on the initiative for a plan of building Dalat of the ambassador, Mr. Cunhac, Labbé - a civil engineer built a dam from Thuy Ta pavilion to near the intersection of Ba Huyen Thanh Quan Street, Nguyen Thai Hoc Street, Bui Thi Xuan Street, and Dinh Tien Hoang Street to retain the water and form a lake. The French call the lake Grand Lac (Large Lake). In 1921 - 1922, under the command of Envy Garnier, the dam was built higher and longer. 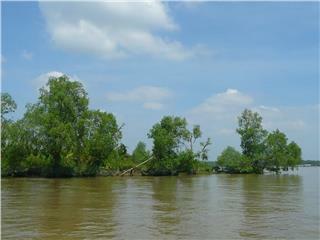 Then from 1953, Gland Lac was changed another name, Xuan Huong Lake as today. 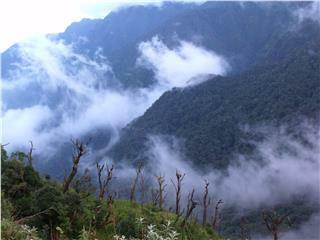 It was the first beautiful scenic spot in Lam Dong province to be recognized as the national-level beauty spot on 11/6/1988. 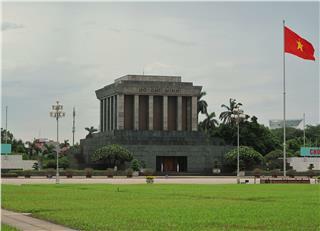 Prominent architectural works associated with Xuan Huong Lake is Thuy Ta Pavilion. 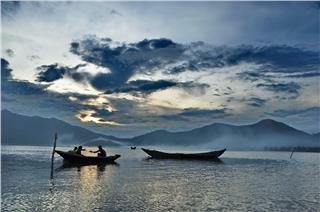 Tourists to Xuan Huong Lake have rarely missed the spot. 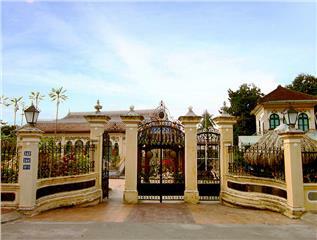 They will have a chance to take photographs here with unique architectural forms, which is hard to find somewhere owning similar architecture. Seen from afar, a white house with a wide railing is prominent on the lake like a luxury yacht. Thuy Ta has been so far a tiny beautiful coffee bar. 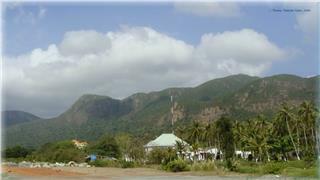 It will be still feasible to build if the management board would like to build a place to meet a large number of tourists. 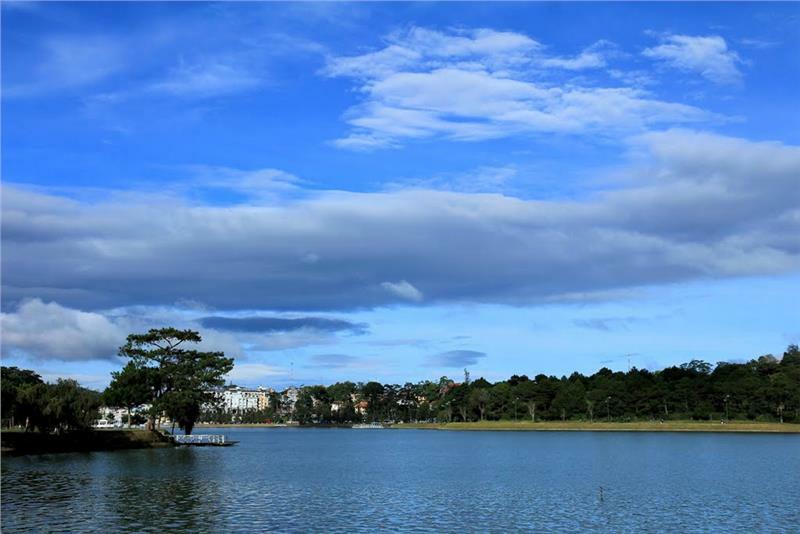 However, the image of Thuy Ta Pavilion has been associated with Xuan Huong Lake and deeply etched in the minds of Dalat citizens and tourists, its architecture always remains intact. 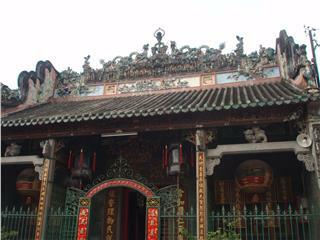 Even the white of the architecture is also unchanged. 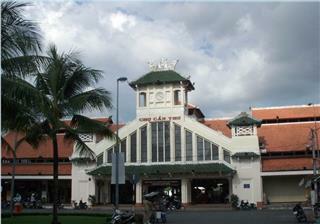 To meet the customers' demand, another coffee bar thus is open in the opposite side of Thuy Ta Pavilion. 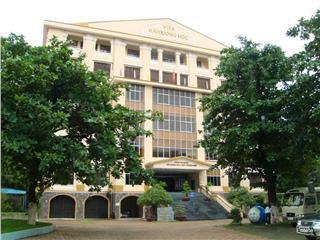 It names "Thanh Thuy". 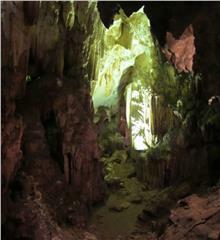 The name (green water) is also closely associated with Xuan Huong Lake. 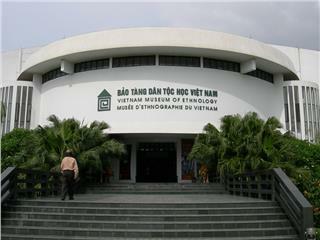 It might be also for the reason that Thuy Ta still brings a particular feature not mixed with Thanh Thuy. 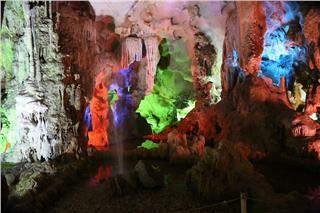 Tourists to Thuy Ta Pavilion and Thanh Thuy to enjoy coffee also have designs on contemplating the lake. 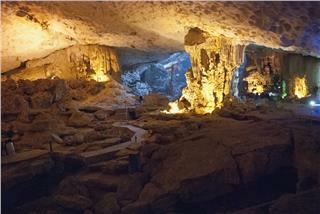 Yet the psychological feeling when sitting on Thuy Ta is still something peaceful and serene. 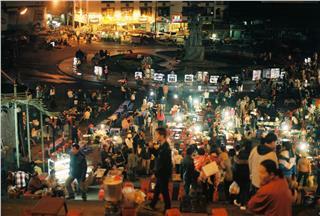 Meanwhile at Thanh Thuy, the scenery is much more diverse and the atmosphere is livelier. Leaning the back at Thuy Ta, tourists are likely to feel much more private. 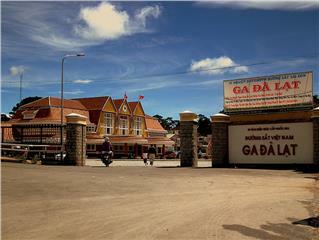 Xuan Huong Lake also hosts numerous of tourism - cultural events in Dalat city, and Lam Dong province as well. 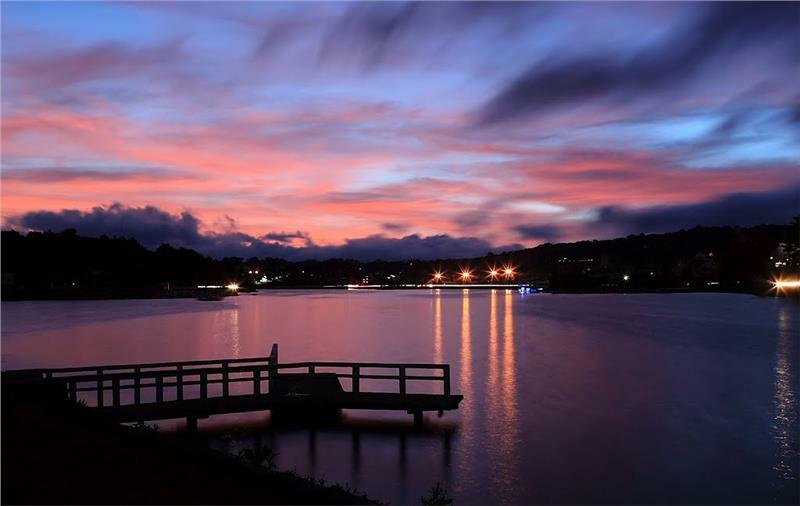 Over time, Xuan Huong Lake is still the indispensable rendezvous of Dalat travel, playing an important role to promote the image of Dalat to international friends. Not only being the heart of the city, Xuan Huong Lake is home to nurture and evoke great emotions of tourists when arriving in the "home of thousands of flowers".